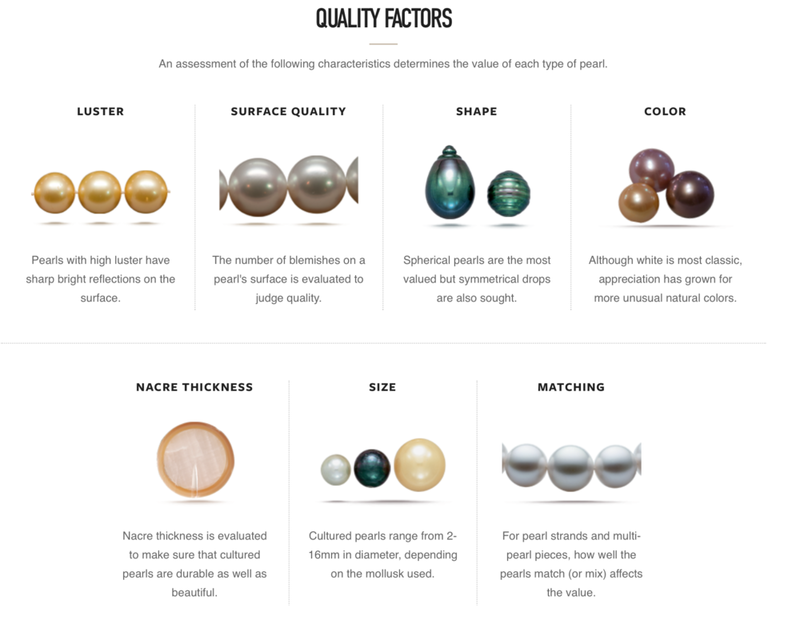 Pearl Information - Basics on types and care! Pearls can be a mysterious and confusing thing to purchase at times, so we have compiled some information to share about pearls - from the basics and a bit beyond. Pearls have been sought after and coveted as symbols of wealth and status for thousands of years. The oldest written mention of natural pearls was by a Chinese historian in 2206 BC. In more modern times, natural pearls were still highly valued - for example in 1917, Pierre Cartier traded a double strand necklace of natural pearls for a mansion on Fifth Avenue in New York City. With the innovation of culturing or farm raising pearls, they have become more affordable and much more accessible. As you explore our Pearl Bar at Duris Studios, we hope that you find the following information helpful. There are natural pearls which form without any human intervention, and then there are cultured pearls - most pearls bought today are cultured. This just means that the pearl forming process has been initiated and monitored by people in a sustainable manner. The methods and science behind culturing pearls are often highly guarded secrets within the companies and pearl farms. South Sea - these are usually the largest and most valuable pearls - cultured in a larger mollusk, in saltwater, mainly in Australia, Indonesia, and the Philippines. These pearls are typically shades of white to golden. Tahitian - These saltwater cultured pearls primarily from the islands of French Polynesia (including Tahiti), are usually darker shades nearing black, frequently with overtones of silvery green, peacock, grey. Freshwater - These pearls get their name from being cultured in freshwater lake or pond farms, with China and the United States being the main sources. They have the widest range of shapes, sizes, and colors available, and are typically the most affordable. Most of our Pearl Bar are selections of freshwater cultured pearls. As what is considered an organic gem, you cannot care for pearls the same way you would a metal piece of jewelry. They can be damaged by many chemicals found in household cleaners, cosmetics, perfumes, and hair care products. Never clean your pearls with any type of ultrasonic, steam cleaner, or chemical cleaner, or store them in a plastic bag, or in a place where they have a direct exposure to high heat. The best way to store pearls is in a soft cloth or pouch, or box, protected from rubbing against metal jewelry which can abrade the pearl surface over time. A good rule of thumb is that pearls should be the LAST THING YOU PUT ON when dressing and the FIRST THING YOU TAKE OFF. Lastly, pearls like being worn! 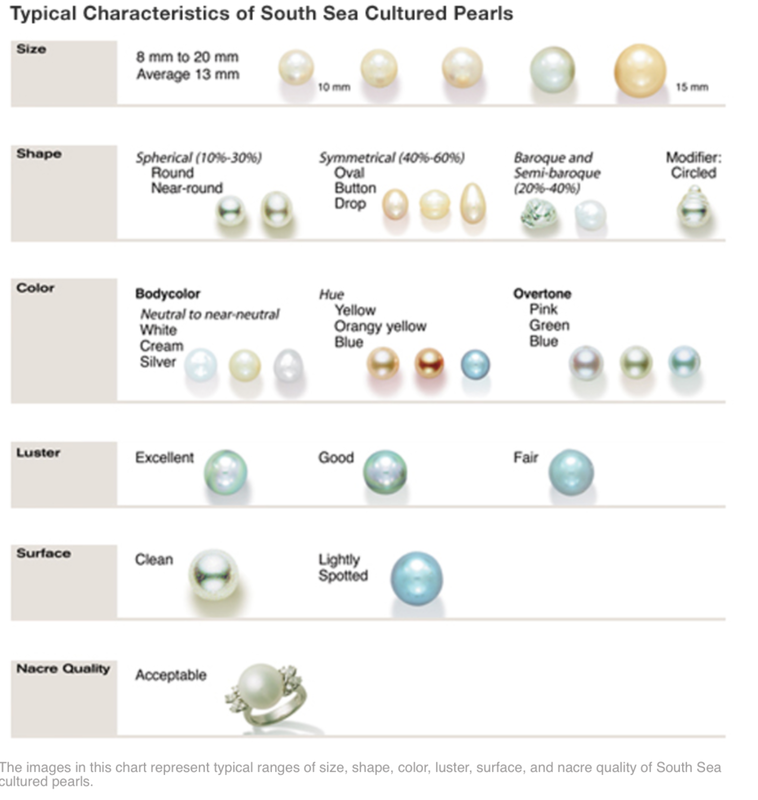 The natural skin oils help keep pearls from becoming too dry, so enjoy them, and wear them! !